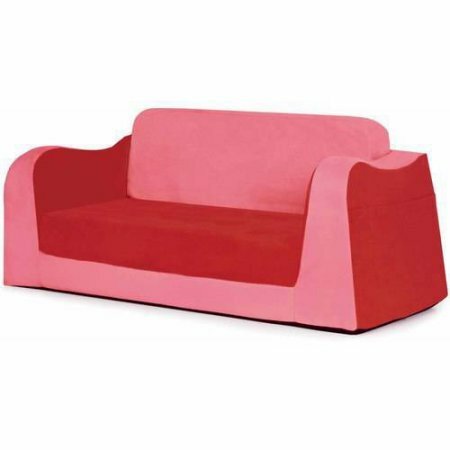 Little Reader Sofa, Fold Out Lounge, Home Furniture, Children's Reader Set, Stain-Resistant Fabric, Book Pockets Available, Sturdy Sofa, High Density Foam, Children Futon, BONUS e-book (Red) by Best Care LLC at Indsight. Hurry! Limited time offer. Offer valid only while supplies last. This little sofa has comfy foam, supple fabric, book pockets and an easy to fold out lounge which creates the perfect combination for a little quiet-time. It has a wide base and strong angular lines which makes this sofa attractive and supremely sturdy. It is made with the highest quality materials, premium high-density foam and upholstered in cozy, stain-resistant fabrics. The little reader sofa is also the perfect companion to the little reader chair. Extremely sturdy For children 2 years and up 30" x 17" x 12"